Continuous Everything is an approach for continuous development while maintaining excellent quality alongside. It is about removing all the barriers which slow down the development process, thus focusing on automation. When we say continuous, it means we are performing an operation repeatedly or as early as possible. Continuous Development aims to regularly update the mobile app, focusing on fixing the glitches and implementing the new features. It is all about coding/compiling/building/packaging the system continuously. With every check-in, the system triggers the compilation, runs the unit test cases, and creates the build ready for testing. 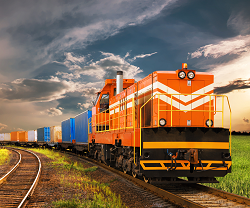 Continuous Testing aims to ensure consistent quality across the system. It starts from running the integration tests early to testing as close as possible up to the final integration. It also includes all other quality checks that can be automated. It would create the binary of the app that can be further distributed to the set of users for testing. 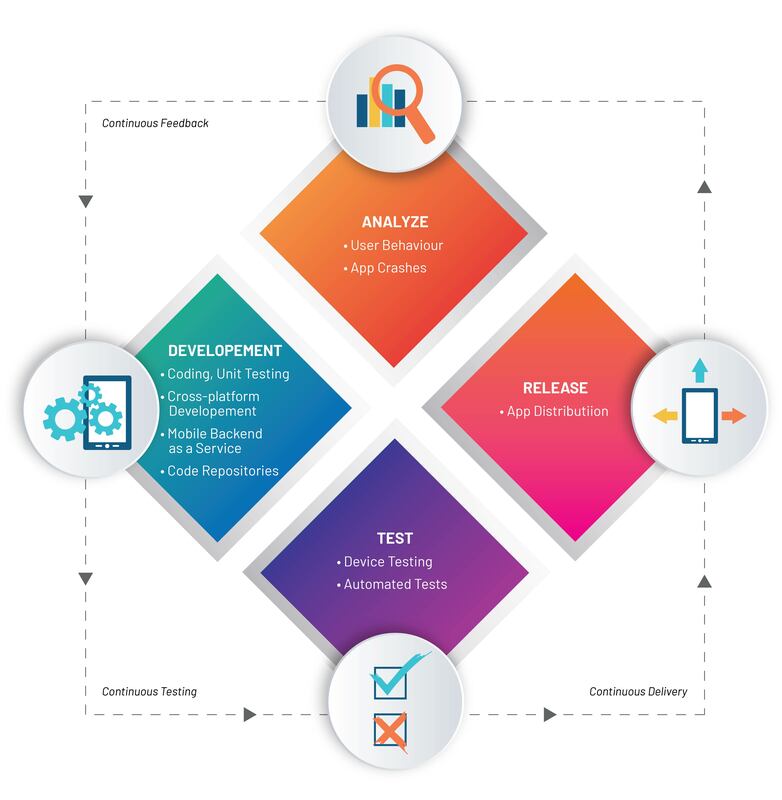 Continuous Delivery aims to distribute the app to the target users continuously, be it the testers or the users responsible for acceptance testing. It is mainly about making the changes available to the users/testers as early as possible. Continuous Feedback aims to monitor if the app crashes continuously and analyze the user behavior. It mostly pertains to configuring the tools for receiving the crash reports and user behavior reports. Continuous Everything - What are the benefits? 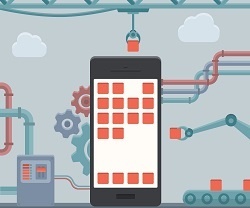 To sustain in today’s competitive environment, you need to innovate your app at a rapid pace. That, in turn, asks for ideation and quick releases, with high quality. To give you an idea, few of the apps also get weekly or even daily updates. So, the key things that your development approach should focus on include innovation and quick releases with great quality. And, Continuous Everything empowers you to ensure quick releases at a rapid pace. Continuous Feedback constantly monitors the health of your app by checking the crashes. It enables you to fix the issues in your app as soon as they pop up. Continuous Feedback provides you with the food for ideation by continuously monitoring the real-time user behavior. So, you can decide on the enhancements or improvements you want to make in the app. Continuous Development, Continuous Testing, and Continuous Delivery enable quick releases. Further, automated builds, regression tests, and distribution, reduces the time to go from idea to the user. 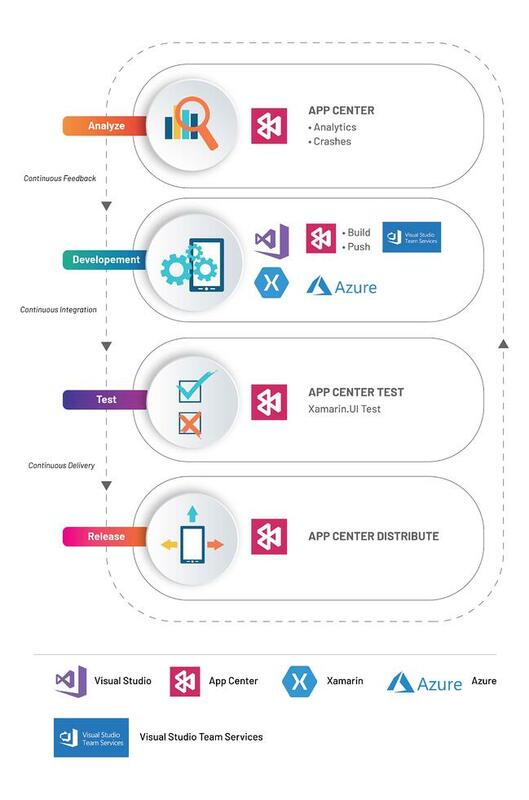 Microsoft provides the tools, services, and cloud-based infrastructure required for Continuous Everything in mobile app development. All these tools and services are easy to configure, and they can enable a developer to set up the entire continuous delivery pipeline. Microsoft provides Visual Studio as an IDE, which is well-integrated with the tools to support software development. With Visual Studio, performing activities such as compiling, debugging, unit testing, building, etc. becomes easier and faster. Microsoft Xamarin is an excellent tool for developing cross-platform native mobile apps. Hence, there is no need to manage separate apps for various platforms as Xamarin. It enables you to support multiple platforms with a single codebase that too without compromising the performance. Azure Mobile Apps is a Mobile Back-end as a Service(MBaaS). It provides mobile back-end services like user management, data operations, social login, offline sync, and more. It allows rapid development of mobile app by providing readymade services required for the mobile back-end. VSTS is a cloud-based service for software development collaboration. It provides Git repositories, and informative and customized dashboards. It also assists in building and deploying software releases. VSTS is a good pick for quick setup, maintenance-free operations, elastic scale, and rock-solid security. The Build is a cloud-based service to create an installable app package automatically, with every push to your repository or on demand. It makes a good choice as it requires a few simple clicks to set up and connect with the code repository. The Build is a cloud-based service to create an installable app package automatically, with every push to your repository or on demand. It requires a few simple clicks to set up and connect with the code repository. This will free you from provisioning and maintaining build servers locally. Also, you don’t need DevOps team to do the complicated configurations. The Push allows integrating platform specific push services into a mobile app. You can engage your users by sending them notifications using this service. It allows you to segment your users based on criteria like device and other custom properties. Further, it is effortless to set up, and it provides SDK for mobile app integration. The Test allows running automated UI tests on thousands of real-world devices and hundreds of configurations in the Cloud. The devices can be easily set up in a few clicks. It supports popular frameworks such as Appium, Espresso, and XCUITest, and it enables you to produce quality apps without owning the devices. It allows users to install your app via email distribution lists and supports the distribution of application packages for iOS, Android, UWP, and macOS. The speed and integration make it the right choice for release of pre-production or beta software for testing devices. Analytics service lets you understand your customers’ app usage with the application of analytics. It provides analytics about your core audience based on devices, locations, languages, and more. It also allows understanding real-time user behavior based on custom events. Additionally, it provides SDK for easy integration with a mobile app to get out-of-the-box insights about your users. This service helps to monitor the health of your app in beta phase or production phase. It provides the real-time crash reports, notifications, detailed stack traces, and easy-to-read logs to quickly diagnose problems. The App Center SDK offers easy integration with a mobile app for reporting a crash. Updating mobile apps regularly with great quality is imperative today. This can be a challenging task unless it is backed up with the right mobile app development process in place. Continuous Everything in mobile app development ensures high quality apps at a rapid pace. Implementing Continuous Everything comes with challenges as it requires infrastructure and some additional skill set. Different vendors for example Microsoft have come up with cloud-based offerings to enable Continuous Everything.